A well-known saying is “if you fail to plan, you plan to fail”. Planning and time management is a key to success. It helps you to complete your course in time and save time for revision. If you don’t plan and study haphazardly, there are more chances that you may not be able to complete your course before the exam. We all have busy lives and sometimes that means that certain tasks can fall to the bottom of the list. I would love to say that studying for an insurance exam is the most riveting task in the world but surprisingly not everyone seems to think so. If you are planning to write your exam in December, you have hopefully already been dedicating time to studying. But if you haven’t been giving your exam as high of a priority as you should be – don’t worry!! It is absolutely not too late if you start making your exam part of your daily routine. One of the first important steps you must do in the planning process is to discover your time commitment. Pull out your text book and look at the number of chapters as well as their length. Just as us facilitators do in the discussion classes, separate the information into manageable segments. This might mean each chapter is a segment or it may mean that each section of a chapter is a segment. Do what works for you. Now that you have broken up the book, get out your calendar. Looking at your upcoming commitments, schedule yourself time to work on each of these segments. The next step is easy and difficult all wrapped in one – write this schedule down!!! It is easy to say that you will commit one hour per day after dinner on studying but unless it is written down and you are accountable for it, it is easy to just let the time get away from you. Sharing this schedule with your family and friends will also help others remember when to give you quiet time to work on your course. 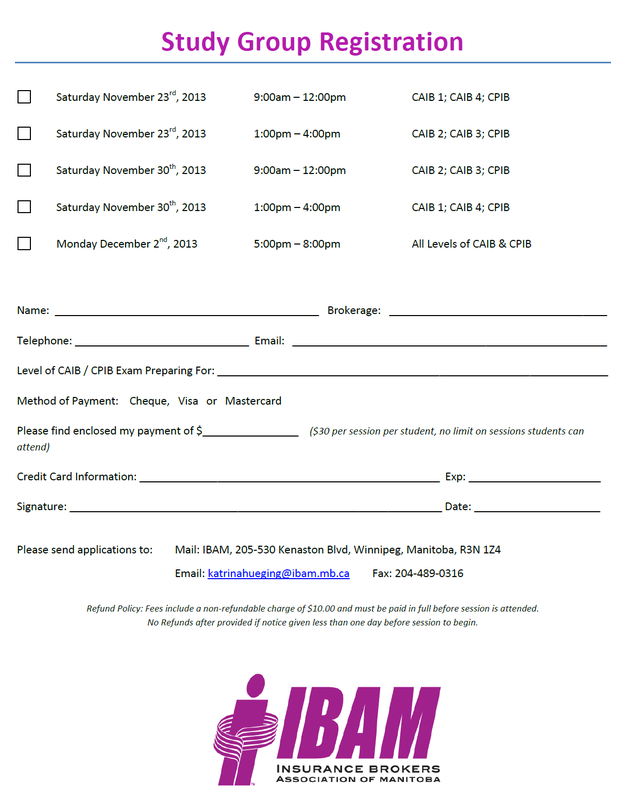 If you are struggling to find focused time to study, look into registering for the IBAM Study Groups coming up to give yourself some of the dedicated time that the exam requires for successful results.